Adam Equipment offers mechanical balances for applications requiring fast, simple weighing without electricity or battery power. There are several kinds of mechanical scales and balances available on the market today, with the most popular known as the triple beam balance and body weight scale. Triple-beam balances are low-cost, simple to use and transport. These balances feature a weighing pan and counter weights, and offer speedy calibration using weights that are often provided with the balance. 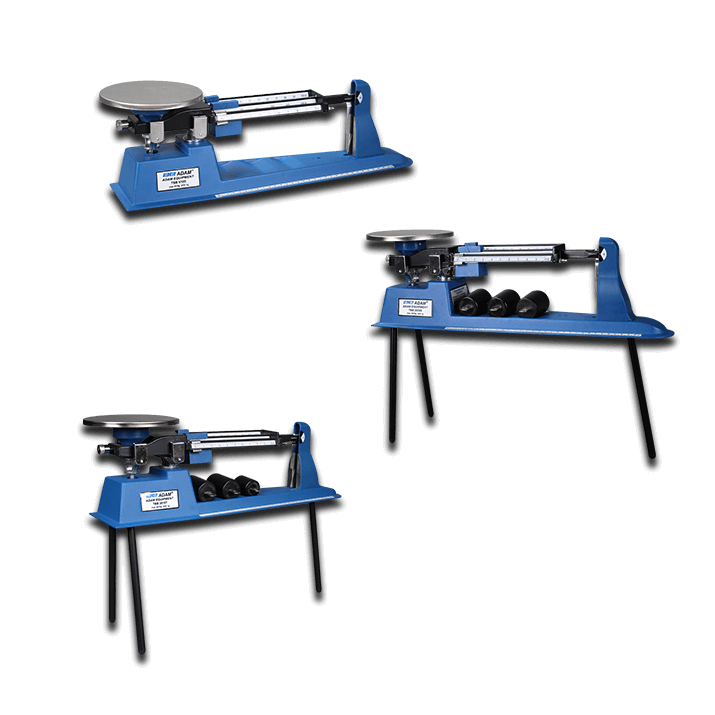 Triple-beam balances are commonly used by students in classroom settings to weigh powders and bulk ingredients, as well as for conducting basic gravity and density measuring experiments. Body weight scales come in many forms, from digital BMI scales to mechanical bathroom scales. Standard mechanical body weight scales require a person to stand on a platform and slide several weights across a marked beam until the beams are level. These scales are typically found in physician's offices, school infirmaries, fitness centres, gyms, and health clubs; they are often used in boxing competitions for completing weigh ins and to determine weight class. Adam's patented TBB triple beam balance is a superb value mechanical balance used for teaching density and mass measurement concepts. Ideal for teaching KS3 and KS4 students in school classrooms.